You've heard it a million times over: "Repetition is the key to learning." So you apply it to teaching your students math. You count from 1 to 20 at every moment, you sing songs about numbers, and you try to make addition and subtraction fun by introducing math concepts with art or action. But while everyone else is raving about their student's math progress, you're pulling your hair out with hassles, headaches and limited results in your students understanding of math. The truth is most teachers and parents were never taught mathematics correctly from the start. Even well-intentioned professionals were never introduced to the simple and effective techniques of teaching math in a way that allows students to gain a true understanding. BUT! When you get it right, teaching math can be fun and rewarding. Teachers everywhere are quickly discovering how to help struggling students learn early math, which increases their overall future academic progress! Now that's a win-win. So, if you're not getting results from your current math approach, here's the harsh truth: you're setting your students up to fall behind at every level AND not enjoying the learning experience. But all is not lost! This post gives you the beginning steps to spring into action and start helping your students "get" math at a whole new level. Check out these ultra-easy methods that help students accelerate their understanding of early math. 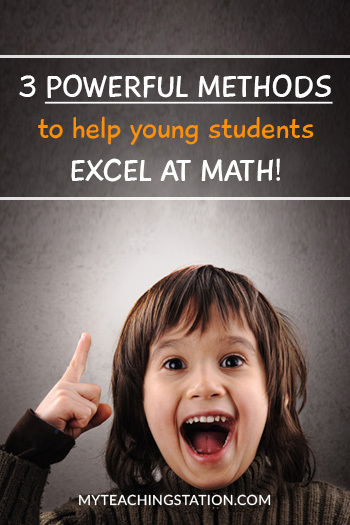 You will also find these methods used in the MTS Math program - CLICK HERE to see more. A ten-frame is a simple graphic tool that allows students to "see" the value of numbers within the context of ten. A single ten-frame consists of two stacked rows of five squares each that allow counters, such as dots, to be placed in each square to help identify numbers in relationship to ten. 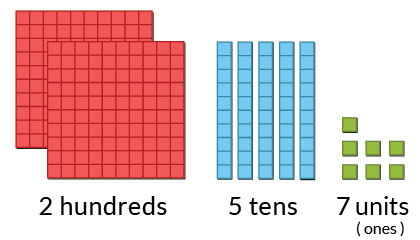 You may be asking yourself, "Why should I use a ten-frame to teach counting?" Great question! Did you notice how quick you were able to total the dots in the frame? 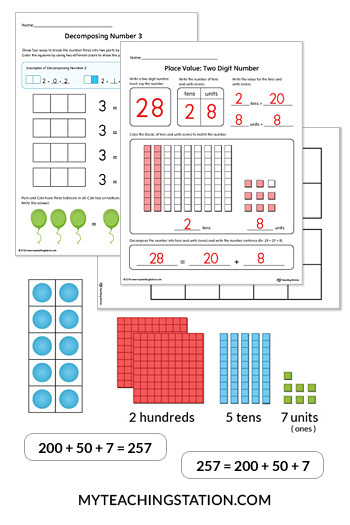 Once students are familiar with a ten-frame, they quickly recognize the displayed number instead of counting one-by-one in a random display of counters. Ten-frames are especially helpful to understand addition and subtraction within ten. 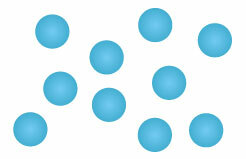 As an example, students can quickly see that when the number eight is represented on a ten-frame, two squares are empty; therefore, two more are needed to reach ten. Before you begin counting with ten-frames, it is important to introduce the framework to students first. Be sure to use worksheets that introduce ten-frames as a foundational teaching tool to help students associate units within groups of ten - Check out the MTS Math Program. Download the FREE MTS Single Ten-Frame Template and Double Ten-Frame Template to use with physical counters like blocks, flowers, raisins or other fun items. Using ten-frames helps students gain critical insights of associative number sense using numbers one to ten. ** Special Note: There is a hidden danger in teaching numbers beyond the base ten initially. Students tend to extend their learning capacity beyond true understanding (often in hopes to perform for parents and teachers), however, this relies upon non-creative reserves and detours the learning process. So for starters, let's help your students understand and use the ten-frame method as a point of reference and teach them the basic blocks of counting. This should come as no surprise to you, but maybe it will: preschool and kindergarten students are desperate for fun and rewarding learning experiences in math. The tragedy is: studies show that using traditional methods of teaching math are just not getting the job done at today's academic standards! Well, in the Is Number Sense Your Missing Math Link? post, we talked about how number sense can bridge the learning gap and help connect your students to the real fountain of understanding number relationships. Then we covered ten-frames - the first method used by teachers and parents as the primary structure to ignite their struggling students progress and change the direction of their entire academic future. So what's the next golden ticket to helping your students? Place value is the numerical value that a digit has in relation to its position in a number. And why is that important...? Well, students who miss, skip or delay the understanding of place value can find themselves hitting major sticking points along their mathematical journey and are more likely to struggle in grasping more advanced concepts. Place value is the gateway for students to understand large number values, which determines their forward progress in understanding addition, subtraction, division, and multiplication. So, what's the difference between a student that understands place value and one that does not? A common problem that students face is recognizing a multiple digit number as the combination of separate individual numbers. And not only will they misunderstand multiple digit numbers but they will not grasp the logic to compose and decompose numbers. What are students left with in this case? Yes, you guessed it! Traditional rote memorization which restricts their growth potential and corners them in a win-lose situation (win the battle but lose the war). ** Special note: teaching place value is most effective when spread out like a net over your entire preschool and kindergarten math materials. Attempting to cover the concept of place value in one lesson or series of lessons may prove to be overwhelming for students unless paired with practical, ongoing review and application. 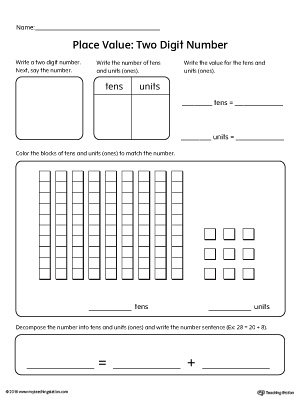 Start exploring place value with the following FREE MTS place value worksheet. Next, we will look at the last method used to help struggling students dash to the finish line of mathematics with smiles on their faces (and you too). 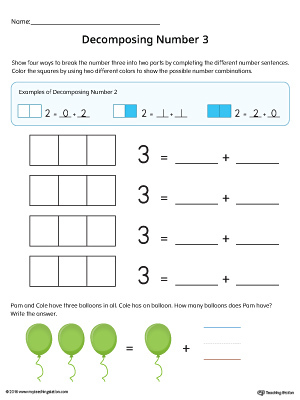 METHOD 3: Compose and Decompose Numbers — "Does" verse "Is"
This is the the last of three simple yet powerful teaching tools that teachers and parents are using to help their students turn the corner to finally understanding math basics. Welcome to composing and decomposing numbers. In short, composing and decomposing numbers is the breakdown and building up of numbers. However, the "more" is not found in what composing and decomposing "IS" but instead what it "DOES" for students on the path to learning math. 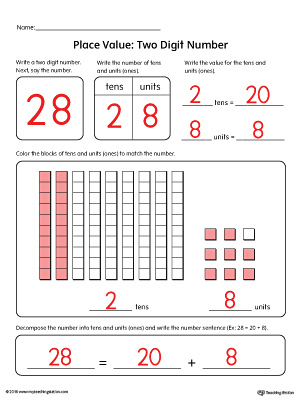 Start with a base number through the eyes of place value. That's what students say too when they begin to understand this fundamental construction of number logic - it just makes "total" sense (pun intended). So now we know what composing and decomposing number looks likes but what it does for students (and teachers too) is even more impressive. Traditional rote memorization relies on using a student's creative reserves to store formulas, computations, and logic. Solve problems they have never seen before. Build a mathematical confidence by approaching computations through a flexible process of creative logic. Reduce the stress and time associated with rote memorization. Develop a mathematical thinking and reasoning library to create their own formulas and solution pathways. When it comes to composing and decomposing numbers, "Does" verse "Is" takes on a whole new light now. Okay, it's time for you to jump in and use these powerful tools to help your students learn, grow and have fun with math. Here are two easy worksheets you can download right away to get started. And the great news is that due to popular demand, we decided to provide a practical Preschool and Kindergarten Math Program that uses number sense methods. Check out the MTS Math Program and download FREE sample lessons from the program. The MTS Math Program is built on the foundation of number sense and includes all three of these methods for teaching students math and much more! 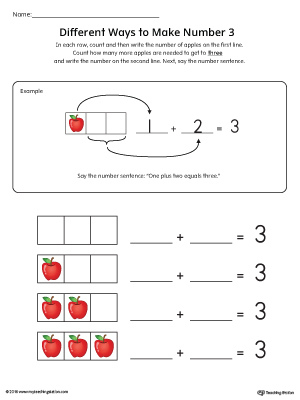 Click here to view the details on the MTS Preschool and Kindergarten Math Curriculum.